In 20 days or so I will be headed off to my honeymoon! Since we've had an eventful year full of moves we are taking our trip as we mark our one year wedding anniversary. In case you missed that milestone check out our wedding by the sea here. This first look by Refinery 29 is more my speed because it is casual, yet put together and of course you know how I feel about including a touch of military. If you follow me on Pinterest you must know by now I am obsessed with mint (and who isn't!). So I was immediately drawn to this look although it might be a little too frou frou for me. We are headed to a part of the world where all you need is flip flops and a few bathing suits to get by, plus I'm too much of a mess cat to keep this look up. However I can attest to the nail polish being fab as seen here. 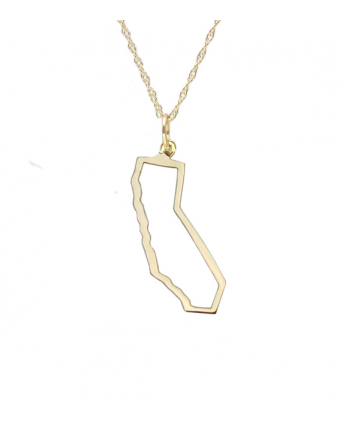 Yes, Cali is always on my mind and in my heart so I have included this necklace because it is so darling. Over the years I have collected charms of the places I have visited and hope to keep adding to my collection over the years. Where did you go or would like to go on your honeymoon? lovely picks. 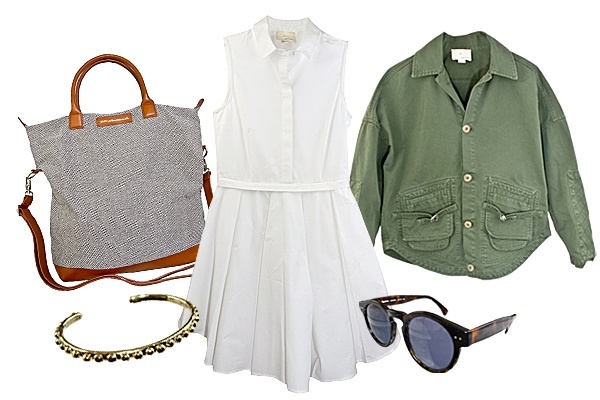 definitely add some mint green in your wardrobe, it will be very pretty on you. i never could wear the color myself without looking washed out. our honeymoon was a road trip holiday/move to connecticut. (moving, always moving! lol) i was relocating there to join J after our wedding in alabama. along the way, we visited washington, dc and some other neat sites. so fun that you get to go on your honeymoon a year later! where to? Looks like you are decked out and ready to go with just the right wardrobe. Have fun! Hey Laura! I hope you have a blast on your honeymoon. We went to Punta Cana in the Dominican. I adore that white dress, it;s just beautiful - perfect for a honeymoon. I think i'd head to the Maldives or somewhere quiet and tropical for a few weeks! Oh my gosh, that is so exciting about your honeymoon. I think it's extra special that you are taking it to mark your one year anniversary. I can't wait to hear all about it. We took a southern Caribbean cruise to St. Maarten, St. Thomas, Antigua, Tortola, and Martinique. It was very exotic to me and I loved it so much!